Today was a long day at work. When I first got home I really did not have any intention of getting out the DSLR camera. I was going to phone it in again with my iPhone. For some reason though I looked on Google+ and saw some great pictures. I was instantly inspired, but there was not a cloud in the sky. The shot that I wanted was not there. I walked into the backyard to get this shot of one of the flowers on the ivy again. 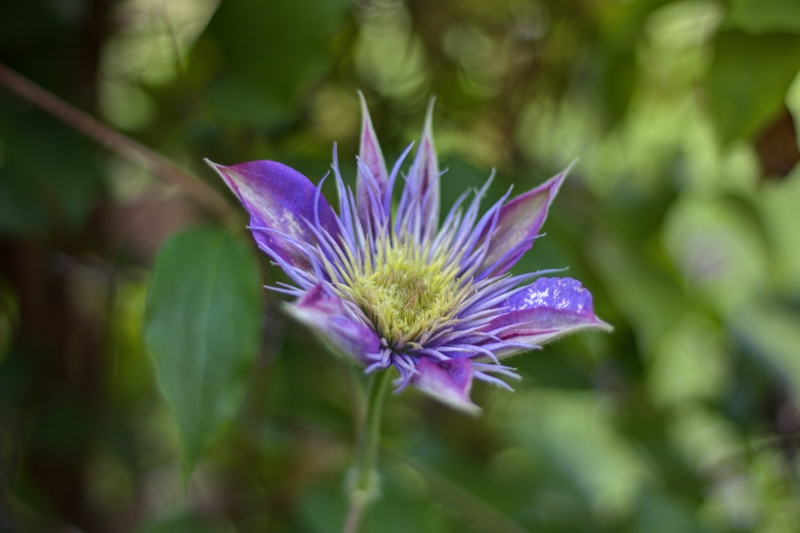 I put the 50mm lens on the camera in order to really blur out everything but the center of the flower. I like the final picture, but it seems like I am just a little ways away from a great picture. The other day I used my tripod to get the shot, and today I thought that I could get a more natural look getting angles handheld. Maybe tomorrow the weather will cooperate so that I can get a good picture with some great clouds in it. I meant to say that I think this image is stunning.